Art does not exist only to entertain — but also to challenge one to think, to provoke, even to disturb, in a constant search for the truth. Around people I don’t know, I’m totally at a loss. I don’t enjoy public performances and being up on a stage. I don’t enjoy the glamour. Like tonight, I am up on stage and my feet hurt. I just don’t want to be hampered by my own limitations. I’m not that ambitious any more. I just like my privacy. I wish I really wasn’t talked about at all. I was a personality before I became a person – I am simple, complex, generous, selfish, unattractive, beautiful, lazy and driven. 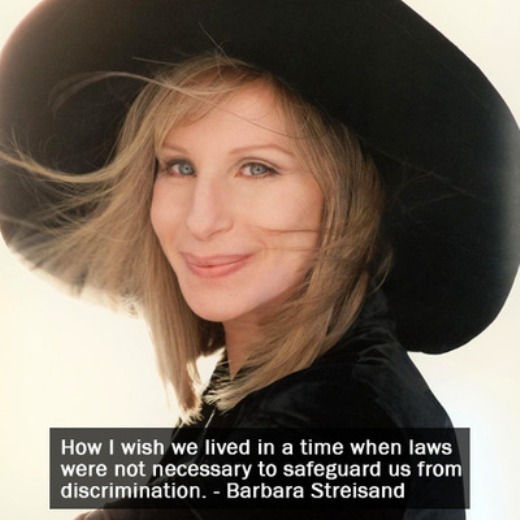 Barbra Joan Streisand is an American singer, actress, writer, film producer, and director. She has won two Academy Awards, eight Grammy Awards, five Emmy Awards including one Daytime Emmy, a Special Tony Award, an American Film Institute award, a Kennedy Center Honors award, a Peabody Award, and is one of the few entertainers who has won an Oscar, Emmy, Grammy, and Tony Award. In 1962, after several appearances on PM East/PM West, Streisand first appeared on Broadway, in the small but star making role of Miss Marmelstein in the musical I Can Get It for You Wholesale. 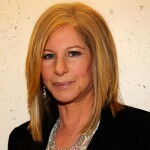 Her first album, The Barbra Streisand Album, won two Grammy Awards in 1963. Streisand returned to Broadway in 1964 with an acclaimed performance as entertainer Fanny Brice in Funny Girl at the Winter Garden Theatre. In 1966, she repeated her success with Funny Girl in London's West End at the Prince of Wales Theatre. From 1965 to 1967 she appeared in her first four solo television specials.